5 Things To Do When Your Seo Fail To Give Good Result | Be "Noticed"
5 Things To Do When Your Seo Fail To Give Good Result. Remember that SEO needs a long time to work on your website. It is a long process. So, you will not be able to see the result instantly or within a few days. If you see that your SEO strategy fails miserably, then you should stop for a while and determine whether it is a real failure or not. You might get too impatient with it. It might not be a failure. Or, you might be forcing your website too much, doing lots of things at the same time. Next, you should evaluate the keywords that you are targeting. When you target the right keywords, you have very minimal chance to fail. If you target too competitive keywords, the chance of failure at SEO will be multiplied manifold. That’s why you need to evaluate the keywords that you’re targeting. Do you have the right keywords to target? Take a look at your website and see whether it can compete with highly competitive keywords or not. If it can’t, you should change your target keywords. Most failures on SEO are caused by the wrong strategy. For instance, some black hat marketers will try to sell you the instant way to do SEO by using the method called link blasting. Of course, in order to do this, you have to buy a software that costs $199 per license. Or, you might be using the wrong SEO strategy by posting low quality spun content on your website using article spinner software, which of course promises you to reach top ranking on the search engine in the short amount of time. If your current strategy doesn’t work, then it’s probably the right time for you to change your strategy. The purpose of SEO is to rank your website high on the search engine result, not to knock down your competitors. In fact, there is no benefit for you if you can knock down your competitors. That’s why it shouldn’t be your goal in doing SEO. Your goal is to improve your website rank and improve your website traffic. So, compete with no one. Improve your website instead of trying to take down other websites. If you can do this, you won’t fail in SEO. Perhaps, you are failing on SEO because you can’t effectively use proper SEO strategy for your website. In this case, you should accept the fact that you can’t do SEO alone. If you experience this, it is a good idea to invest on reliable SEO service that will do all the SEO work for you effectively. Choose the best service you can find and try them. Take a look at the result after few weeks or months. If they give you good result, just stick with them. You won’t have any more hassle when it comes to SEO. It has been taken care of. 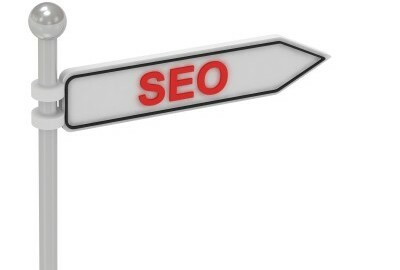 Those are 5 things to do when your SEO fail to give good result for you. Many people fail and stop their effort altogether. But, you shouldn’t do this. You have to turn your failure into a success. Follow the tips above and fix your mistakes in your SEO strategy. This article is brough to you by Musa, who is the SEO Director at Digital Connected Media Ltd UK. Connect with him on linkedin.